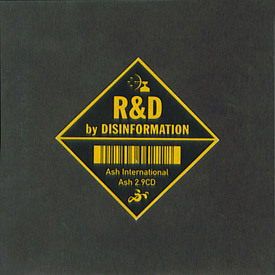 Disinformation’s first full length CD commences the R&D series. Magnetospheric lightning reflections, static crashes, grass, insect and leaf statics, ground and sky wave atmospherics, 60Hz AC harmonics, LORAN-C and OMEGA doppler-shift radio navigation broadcasts. Pulsed and continuous VLF broadcast data. Continuous VLF broadcast data and horizontal line oscillation bursts. VLF horizontal line oscillation and 60Hz AC harmonics.